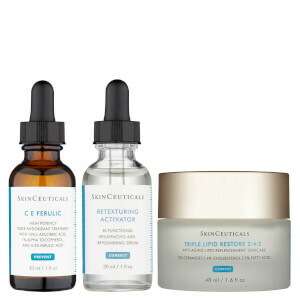 Target and prevent the visible signs of ageing with SkinCeuticals A.G.E. 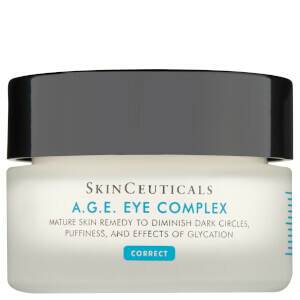 Interrupter, an anti-wrinkle cream that helps to create a luminous and younger-looking complexion. The nourishing treatment uses 30% Proxylane™, Blueberry Extract and Phytosphingosine to strengthen and firm the skin texture, minimise the appearance of fine lines and sagging and replenish moisture to dry and irritated complexions. 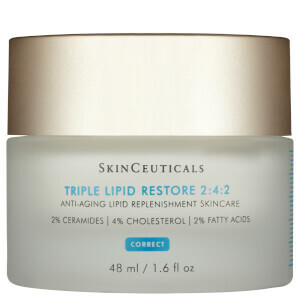 The antioxidant-rich formula also helps to protect the natural barrier function, leading to smooth, hydrated and youthful-looking skin. 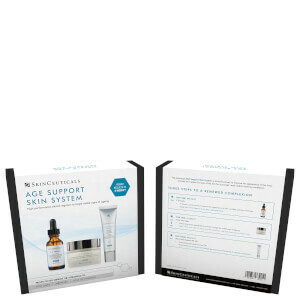 Free from alcohol, parabens and dyes. Aqua/Water, Propylene Glycol, Dimethicone, Hydroxypropyl Tetrahydropyrantriol, Cyclohexasiloxane, Isohexadecane, Glycerin, Synthetic Wax, Dimethicone/PEG-10/15 Crosspolymer, Aluminium Starch Octenylsuccinate, CI 77163/Bismuth Oxychloride, Phenoxyethanol, Magnesium Sulfate, Ethylhexyl Hydroxystearate, Salicyloyl Phytosphingosine, Acrylates Copolymer, Methylparaben, Ethylparaben, Disodium EDTA, Vaccinium Myrtillus Fruit Extract, Parfum/Fragrance, Silica [Nano]/Silica, Butylphenyl Methylpropional, Coumarin, FIL D45751/5. Please check back of pack for up to date ingredients.